When using an auxiliary audio input, it is also possible to use headphones to monitor the audio that Switcher is broadcasting. 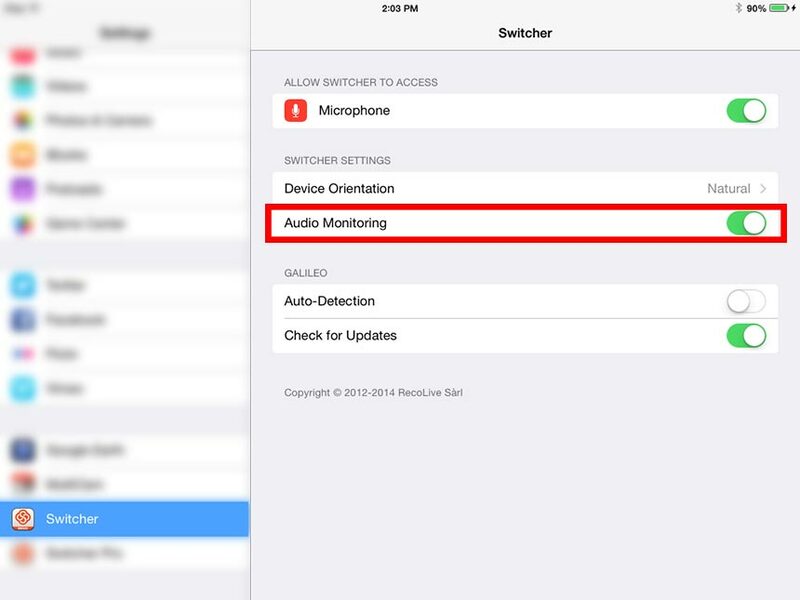 To enable Audio Monitoring, first open your device's settings by tapping the "Settings" icon. Scroll down to the Switcher app icon, and tap it to open. Find "Audio Monitoring" in the menu, and tap the toggle slider to enable it. 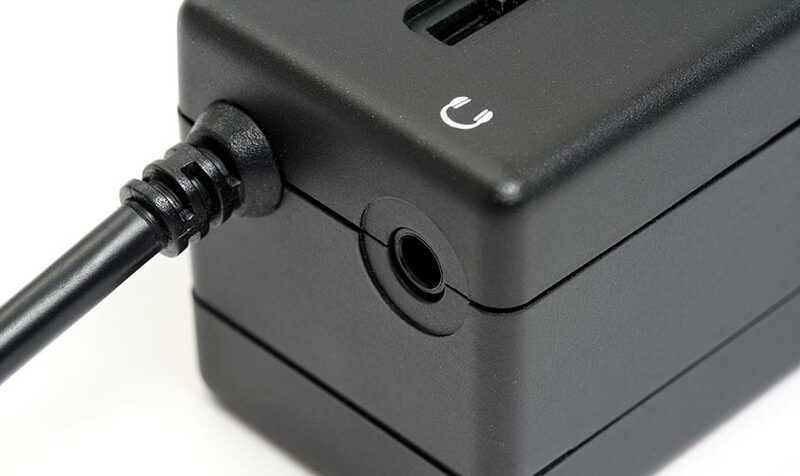 Now, you will be able to connect headphones to your iRig through its headphone port, or connect headphones to any Lightning iOS Audio Interface and listen to the audio as it is being broadcast. NOTE: You CANNOT monitor audio by connecting regular headphones directly into your device's Audio Combo Jack. The Audio Monitoring feature requires an iRig or USB/Lightning audio interface with audio input and output support.